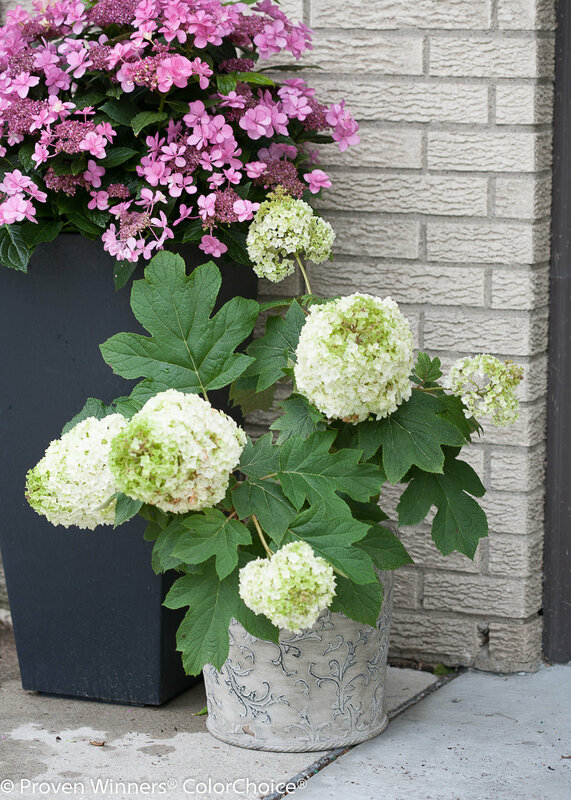 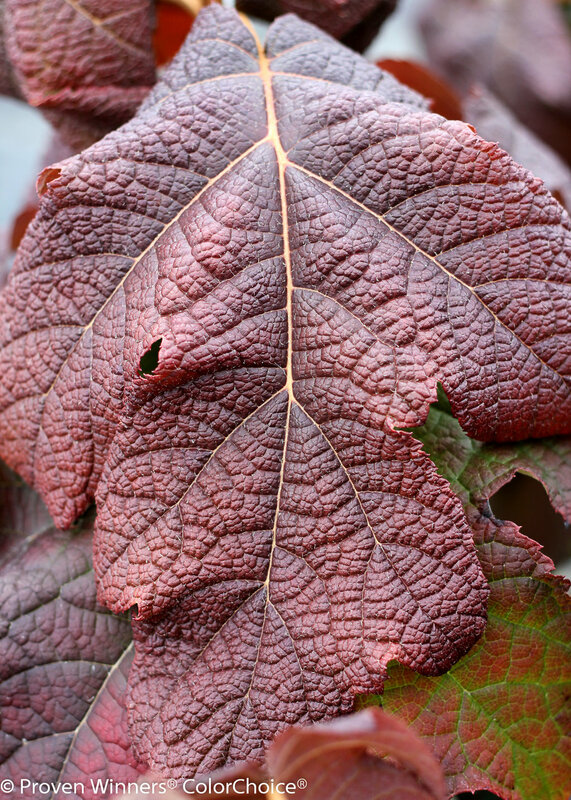 This is a distinctive, showy take on our beloved native oakleaf hydrangea. 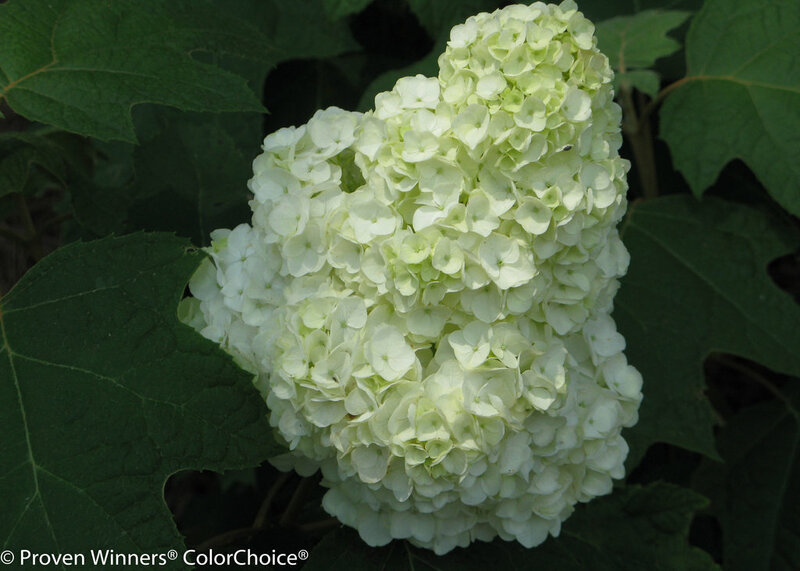 Doubled florets are similar to those of 'Harmony,' but more weather-resistant. 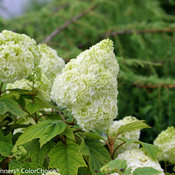 The tightly packed, pure white florets create very full, conical panicles with a unique 'quilted' effect. 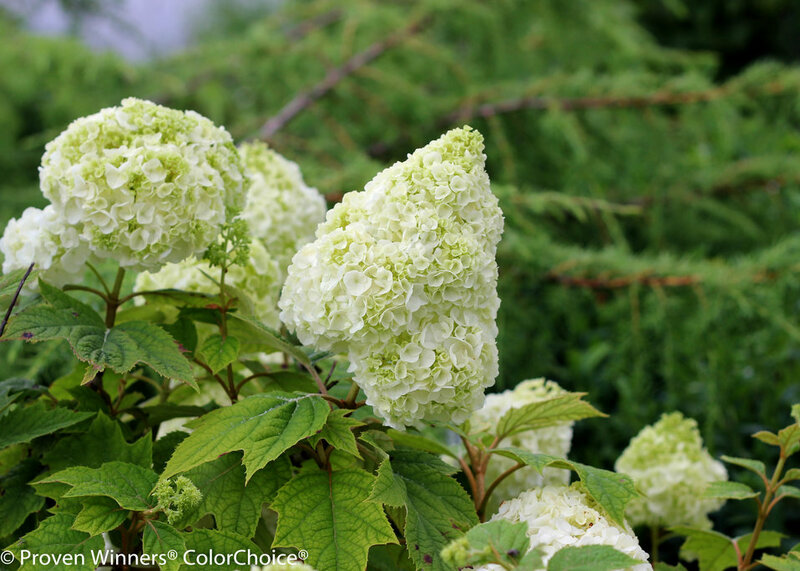 As the bloom ages, it turns a nice shade of green that lasts through most of the summer. 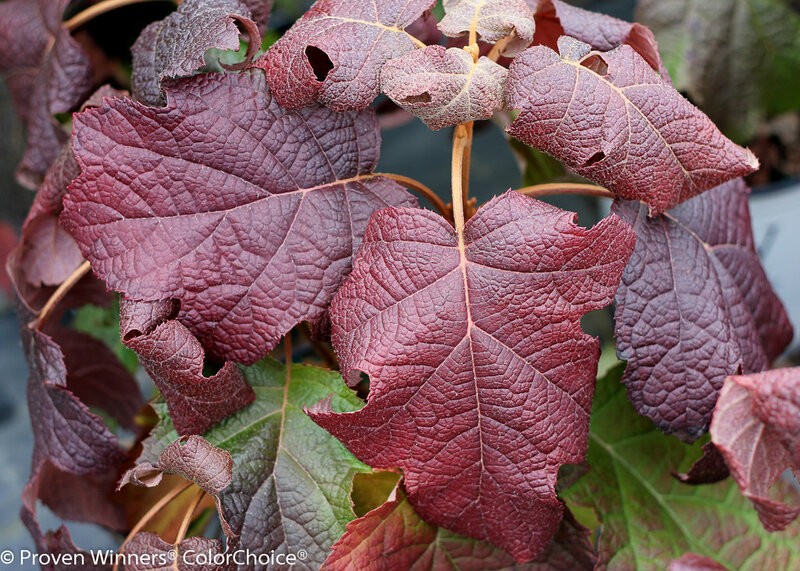 The green foliage has wonderful wine-red fall color. 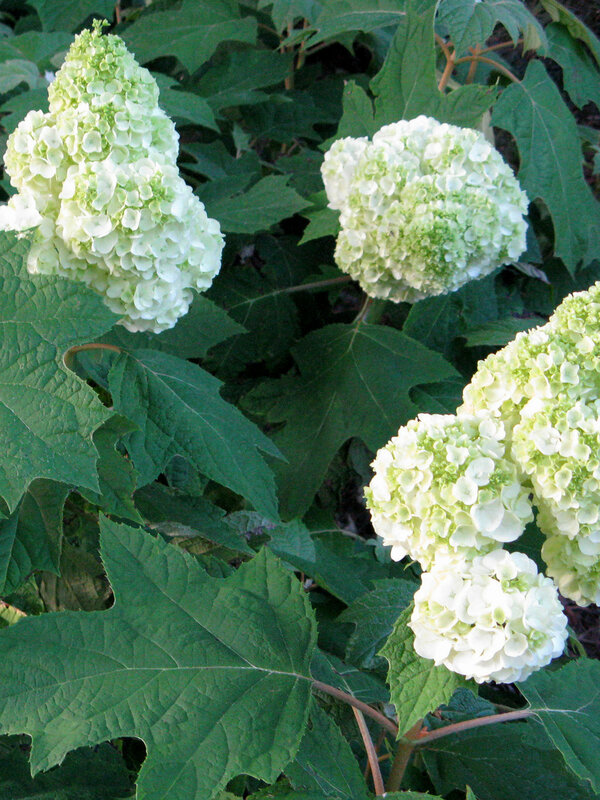 White, changing to green as it ages. 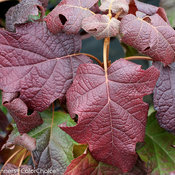 Green, turning burgundy-red in fall. 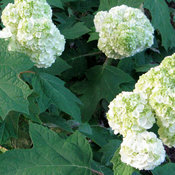 I planted one of these 5 years ago and it is one of my favorite plants.It has something for all seasons, it has cool leaves all the time, the flowers start white and then dry as a pink/rust green that adds interest to the winter garden. 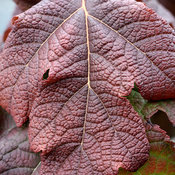 Such a great, low maintenance shade plant!!! 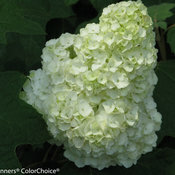 Excellent Plant, hardy, dependable bloomer.